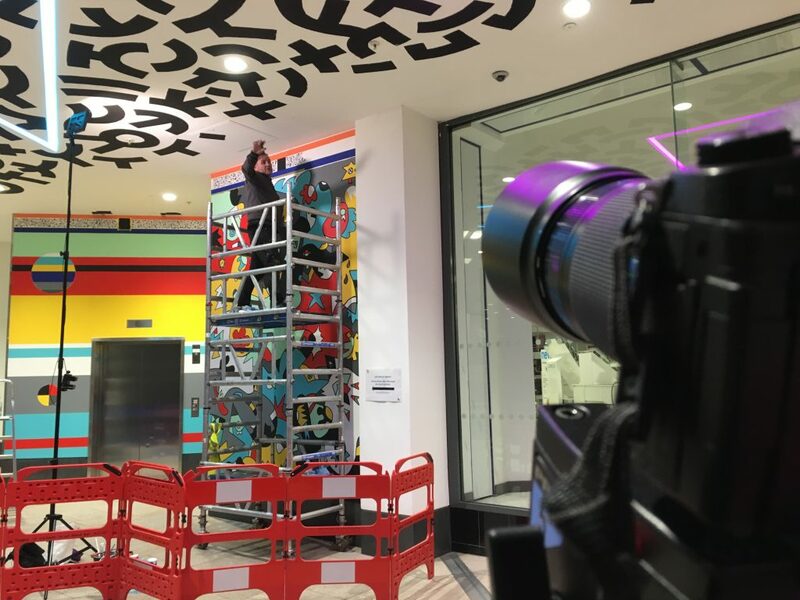 I’ve recently filmed the launch of a unique art and retail project in the Trinity Shopping Centre, Leeds. What a great night and Launch for the BLKB-BX project thank you to all that attended and supported us to get there .watch this space for regular updates and exciting changes and up coming events . The launch night was great, but there was much more to my involvement. 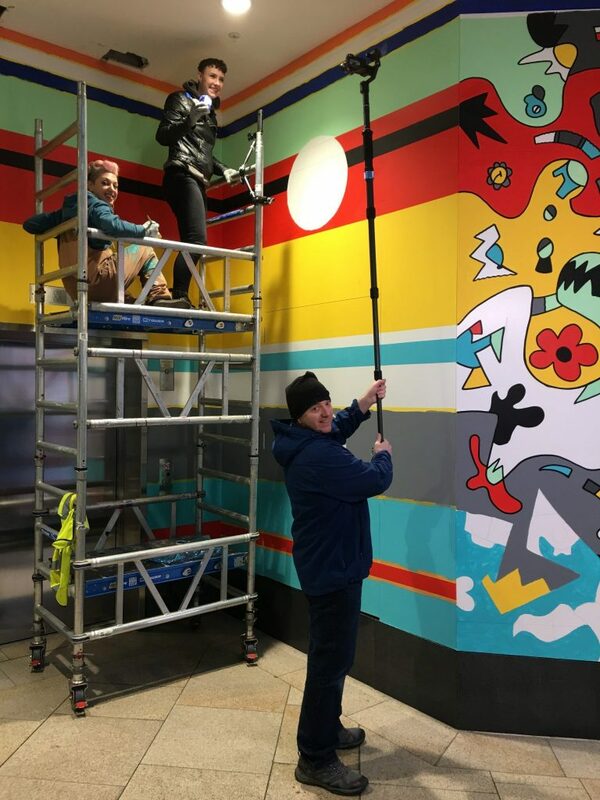 From late 2018 until mid-January I documented the artists painting and spraying the walls and ceiling in trinity. 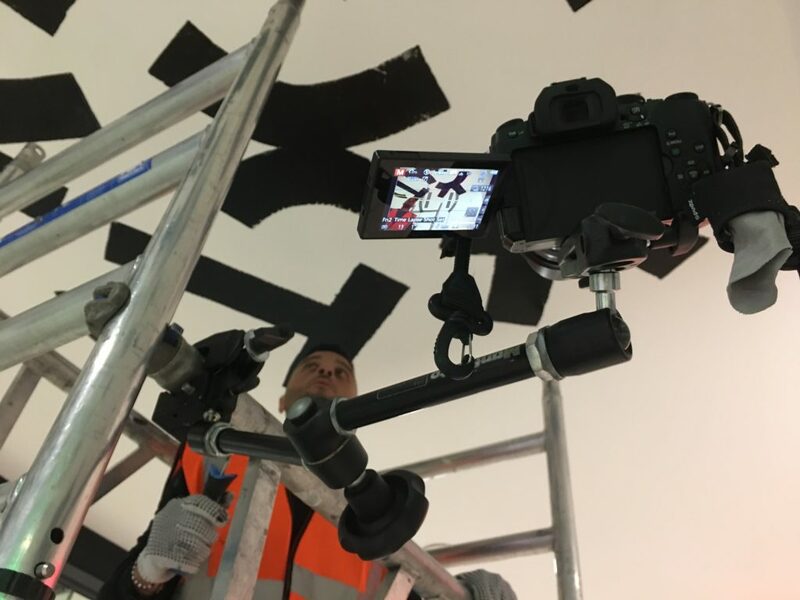 I filmed with a range of cameras and techniques such as time-lapse, motion time-lapse, tripod, pole gimbal and 360 video as well as interviewing the artists involved in the project. The filming started once the mall was closing, with shoots often finishing around 4am. It was a good opportunity to try out a few different filming methods on a single job. The gimbal and a6000 worked well on a monopod, allowing me to crane from ground level, right up the the artists working at the ceiling. The motion control slider was a tricky setup because the artist may have started working in a certain direction, you place the camera rig to match and 10 minutes later they’ve changed direction or moved elsewhere. That meant stopping a move before it had finished, but fortunately there was enough material to make the finished videos.